Expected is too harsh. You'd like him to make it, but it was a good shot and he definitely was screened to some degree, perhaps a lot. I don't consider that a soft goal. Wow, a "Welcome Back Kotter" literary reference. Awesome!!! Go. Tonight is the beginning of the beginning or the beginning of the end on 2019 Sabres hockey. And it's almost Groundhog's Day. Seems like a can't miss game. Harrington's article this morning is pretty good. Botterill needs to make a couple of trades to show the players the front office cares and wants to make the playoffs. I understand the long range plan and not mortgaging the future, but that to me is a false dichotomy. You can trade a pick or two or a prospect or two to get help now--especially if you take on $$$-- without giving up the core of the "future." Botterill may not have gone through it or caused it, but a decade of futility requires calling an audible on the plan, especially when the Sabres still have a real shot at making the playoffs. And making the playoffs, more than an extra pick or two, will do more to accelerate the "process" of winning a Cup than anything else. You need to start somewhere. Thanks. I agree they need a hot streak to really get back into it. I don't see it right now either, but it's good to know. Maybe 10 is a tad low. With 54 points and 34 games left, I figure that the team can only lose about 10 more games in regulation and make the playoffs. Roughly 20 10 4, give or take. Does that seem about right? It would give me a better way to countdown the season realistically when games resume. Thanks! 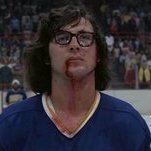 GDT: Tampa Bay Lightning at Buffalo Sabres. 12 January 2019 @ 7:00PM EST on MSG. Good on you, some grit. Board gets so whiny at times. 2022 is when our window opens. Book it. Ah, so sad to waste the golden years. Team has limited talent. Hanging for 50 minutes to a team like TB and losing is the best you can hope for.